It’s always hot in Austin, there’s no denying that. You should always be able to come home, turn on the air conditioning and find relief from the Texas sun. If for some reason that isn’t the case, contact the team at Bunten A/C Service. For the past 41 years and counting, our team has addressed A/C problems for Austin residential customers. From general repairs and maintenance to full-scale replacements, Bunten handles all A/C services. You can count on the experience, education and developed expertise present in all members of our team. For service calls, the team at Bunten can formally diagnose the unit to find the root of the issue. You can also trust us to perform a general check-up to ensure functionality before summer use. If any repairs are needed, trust our team to perform them correctly, all while keeping you in the loop during the process. For system installations and replacements, Bunten uses Carrier products. 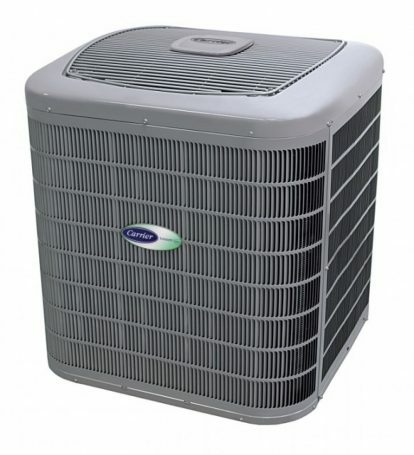 We are an authorized dealer of these hardworking units, which provide top-quality comfort for homes and businesses. Bunten offers limited two-year labor warranties on installations and replacements as well. Combined with the 10-year manufacturer warranties present on Carrier systems, the longevity of your unit is insured for years to come. You deserve quality service at a reasonable price. Call Bunten A/C Service of Austin right now to receive a free estimate or for a free second opinion for your A/C service. We’re available anytime at 512-473-6645.